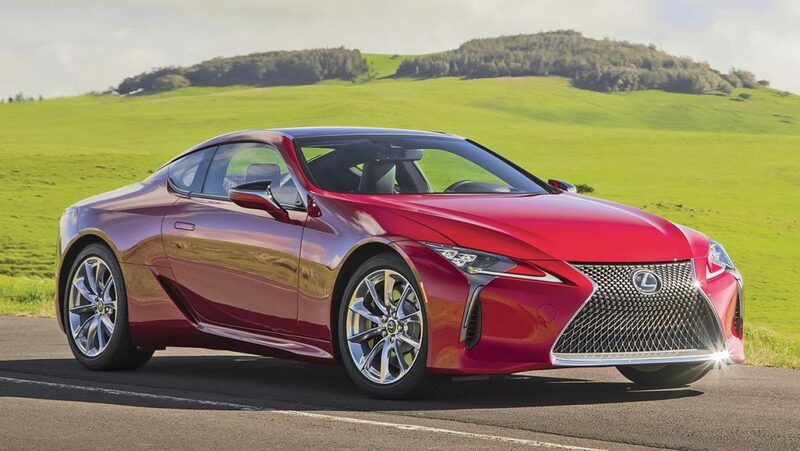 The LC 500 is built on a new GA-L (“Global Architecture-Luxury”) platform that also underpins the 2018 Lexus LS sedan. The company claims this new hardware was designed with a low center of gravity as one of its priorities. 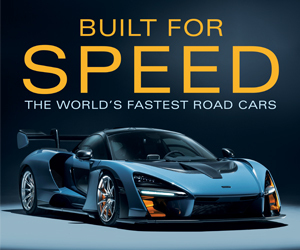 The body shell is constructed from a combination of high-strength steel, aluminum, and carbon-fiber-reinforced plastic. The rear-drive LC runs on a 113-inch wheelbase, is 187.4 inches long, and stretches 75.6 inches wide. Curb weight is a substantial 4280 pounds. The standard wheels are 20-inch cast-alloy units, though optional forged wheels in 20- and 21-inch sizes are available too. All tires are run-flats. Chassis highlights include multilink independent suspension front and rear, and beefy steel-disc brakes. An active rear steering system is part of the optional performance package. A 2+2 coupe—especially if the folks in back are more like 0.5s—the LC 500 is dramatically styled and luxuriously appointed inside. American-market sales of the 2018 LC totaled approximately 2500 units from when it went on sale in May 2017 through the end of that year. At introduction, the LC 500 priced from $92,000. Individual extras included a cold-weather pack with a heated steering wheel and windshield de-icer, color heads-up display, and a limited-slip rear differential. Option groups were a Touring Package, Sport Package, Sport Package with Carbon Fiber Roof, Performance Package, and Mark Levinson-brand audio. Our instinct for Future Collectibles is to avoid really expensive, really exotic vehicles, and the LC 500 pushes at the limits. It might be hard to do, but a buyer could conceivably captain the Lexus flagship for less than six figures. Dream-car-inspired styling looks fantastic, especially in person. The 5.0-liter V-8 delivers impressive acceleration. 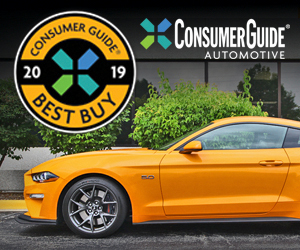 Its rambunctious exhaust note adds a surprising muscle car vibe. A grand touring coupe that artfully blends luxury and performance. Classy interior materials and appearance reinforce that notion. In theory, this large coupe is a 2+2. In practice, rear legroom is nearly nonexistent. Headroom can be tight as well. Traditionally coupes and small trunks go together like peanut butter and jelly, so no surprise that’s the case here. At times form is favored over function, especially in the cabin. In a world where the idea of automotive luxury is shifting to SUVs, grand touring coupes can still excel at delivering drama. The Lexus LC 500 can easily cost north of $100,000, but that’s not unusual for this type of car. Strong points here are the exotic looks, beautifully finished interior, and, of course, the V-8’s ample power. How this translates in the future is anyone’s guess, but for now this Lexus holds definite appeal versus better-known European competitors. Written by: Guest Author on April 8, 2019.